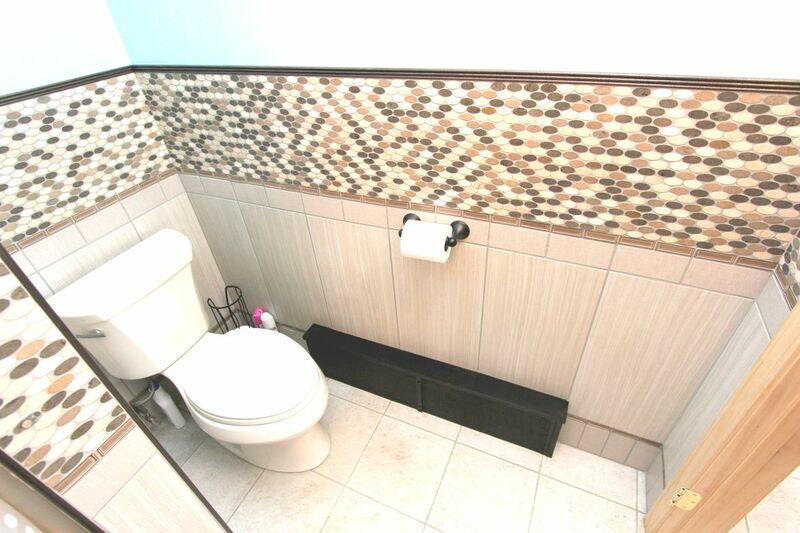 This bathroom remodel actualy started with a kitchen renovation, with the tile floor extending into the bathroom. After seeing how well the kitchen turned out, she asked me to do the bathroom also. The old vanity and tile work were removed, some sheetrock had to be replaced, the walls and ceiling painted. The triple-bead molding at the top of the tile is a molding I made to match some molding I used in the kitchen, but stained to match the vanity. I also fabricted a custom heater cover from maple with a punched metal grill, stained to match the vanity. All content ©Copyright 1996 - Suncook Carpentry and/or contributing authors.